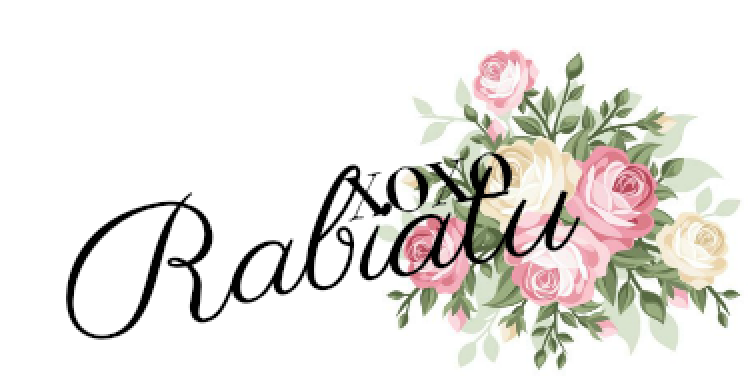 If you haven’t read my other posts about this trip please click these titles to read all about it Welcome To Malaysia, Masjid Kapitan Keling, Penang Street Food, Armenian Street Art & Teochew Chendul, Chocolate and coffee Museum, and Cheong Fatt Tze Blue Mansion. 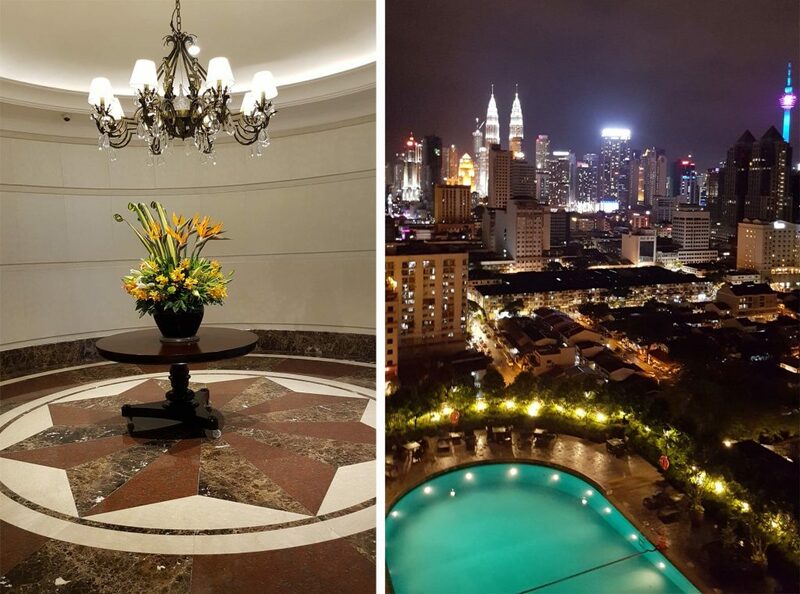 A day after my visit to the Blue Mansion which was a Friday, I travelled to Kuala Lumpur, the Capital of Malaysia. I planned on meeting my friend Amina again and also catching up with some few other Malay friends I made over the last few years. The journey from my hotel to the airport started out well, thanks to google maps I estimated the ETA and planned it all to the T. What I didn’t factor in was kthat it will be a friday at zuhr time, which meant people will be heading to the mosque and kids will be getting out from school so crazy traffic—I guess Fridays are the same in countries with a large muslim population! So there I was stuck in the worst traffic with my taxi driver adding to my anxiety saying he’s not sure we would make it in time but he will try his best! Well we managed to make it, and after the usual airport hassle of long queues and so on, I managed to get to security. I then realized I needed to show them my passport and visa, because I was clearly a foreigner, in order to board my domestic flight—I thanked Allah in that moment so much that I remembered to pack my passport in my hand luggage, imagine the disaster this would have been. The flight I took was Malaysia’s version of easyjet and it was soooo affordable, because I booked it last-minute I paid a somewhat higher than normal price but it was still cheap—N6000, £12 or $16 for a one way flight! 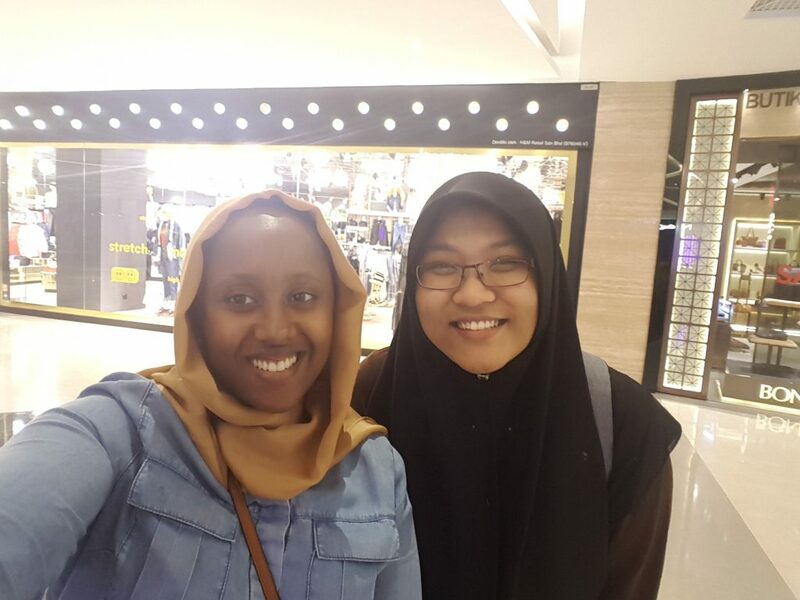 We landed at Subang airport which was just outside Kuala Lumpur, my friend was flying in from her hometown so we met up at the airport and headed to KL together. On our way from the airport, Amina filled me in on a lot of Malaysia’s history and how the monarchy is set up—very fascinating that every few years, the sultan and Rajah’s of the Malay states convene and choose a ruling monarch amongst them. Similar to the UK, they also have a prime minister. 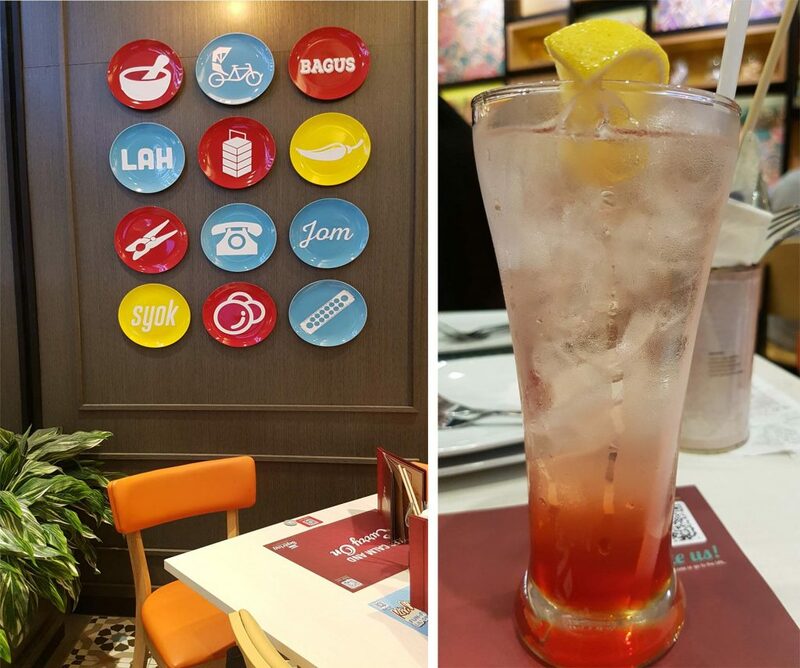 After I had checked in and sorted out stuff I headed out to meet my friends for an early dinner. 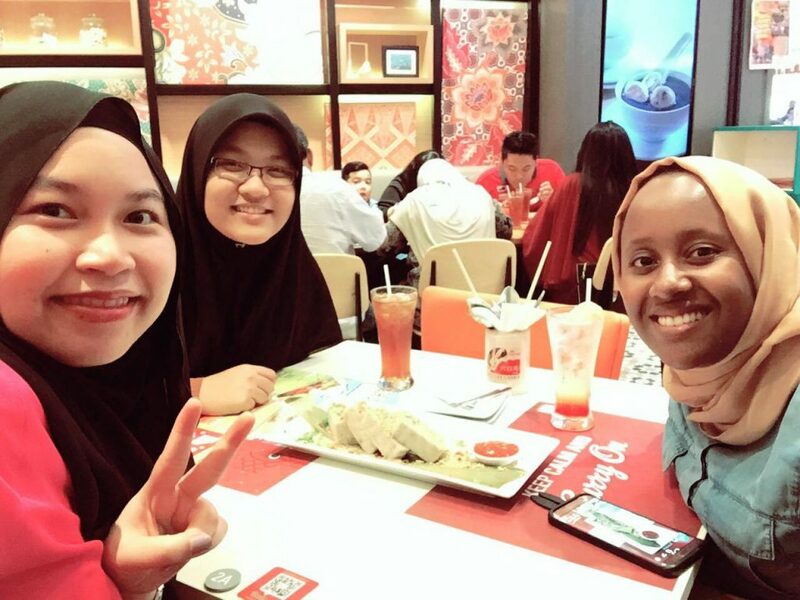 It was lucky that two of my friends whom I met during my weeklong adventure in South Korea back in 2015 were in Kuala Lumpur, S Unni worked and lived in the city whilst A was up in KL from uni for a medical conference so we decided to meet for an early dinner. 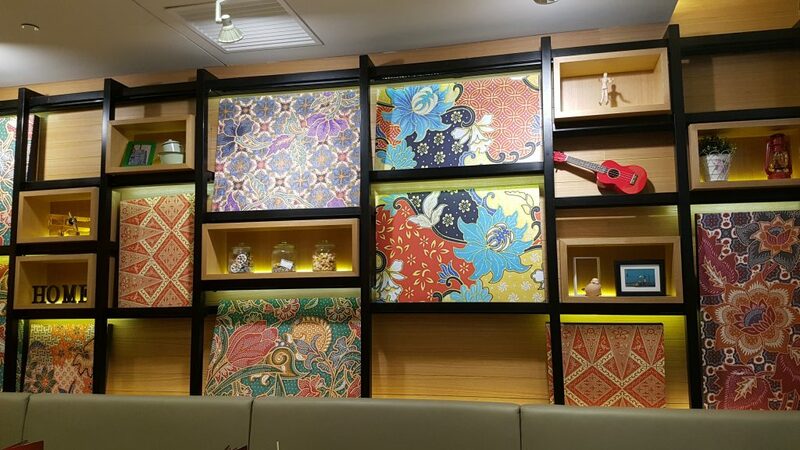 Our mini reunion took place at Sepering—a chain restaurant in Malaysia that serves uniquely traditional Malaysian cuisines. It seemed like there was one everywhere, even in remote locations! We were all soo excited to meet up and literally jumped right into catching up on what went on since we last met! 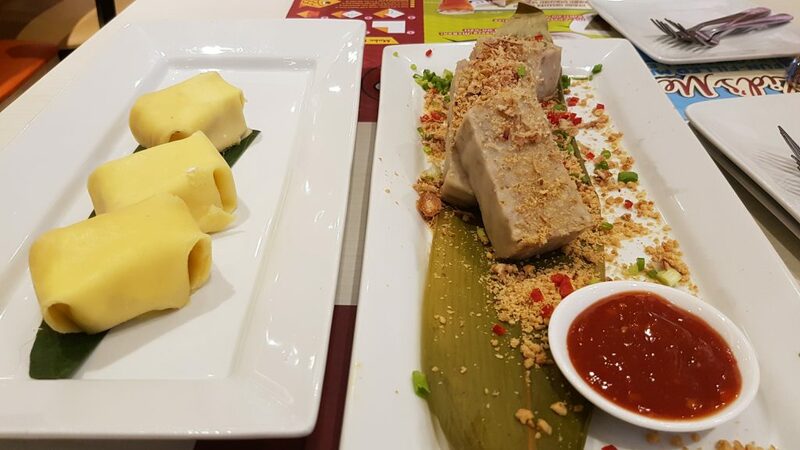 I decided to let them order for me since they knew best and I have to say this picture below gave me opposite ends of a spectrum to the taste of Malaysia! On the left hand side is durian pancake which consisted of durian and cream wrapped in a pancake covering, it looked pretty but definitely not for me—durian is huge in Malaysia but it seems to be an acquired taste and mostly you either love it or hate it! Fun fact: Some hotels even have signs banning you from bringing durian into the hotel. But this brown looking food on the right was marvellous! it is known as yam cakes or kuih keladi as it is known in the local dialect. I never knew yam could taste sooo good! the cake was moist and chewy and the fried scallions added to the flavour. it was served with chilli sauce and I savoured every bit of it—actually I loved it soo much that I have decided to try making it so keep an eye out for report on that experiment! For the main, I had Nyonya Nasi Ulam with Ayam Percik and keropok lekor. Which basically translates to the dish below. 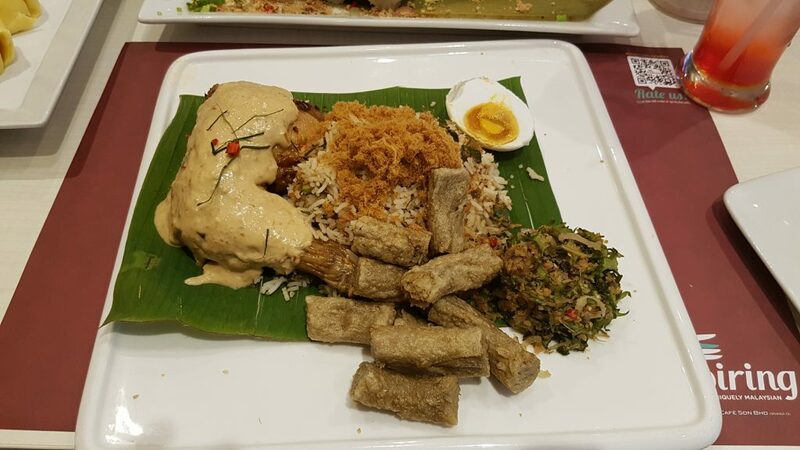 It is the Nyonya version of Mixed herb rice served with coconut spiced chicken, some pickled veggies, fish fritters and a salted boiled egg. The chicken was alright and the egg was unlike any boiled egg I had tasted, the yolk seemed to have been pickled which made it have a deeper flavour. The rice however was a bit too dry for me. We ended up eating, laughing and just having a jolly good time! S unni had to leave early so A and I walked around the mall for a bit and then we later on said our goodbyes! It was really lovely to catch up with you guys and S unni thank you so much for treating us to dinner 언니가 최고!! 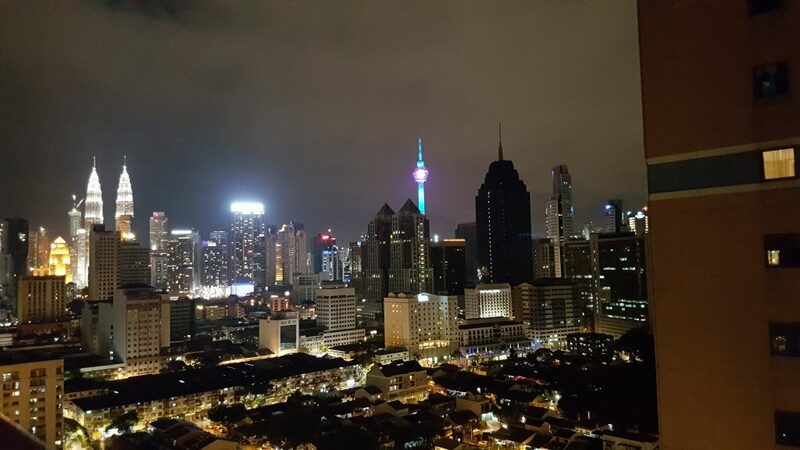 Today was a little less adventurous because I spent most of it travelling, so I leave you with this gorgeous view of Kuala Lumpur.